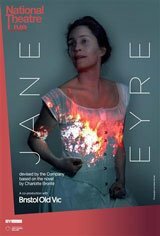 Jane Eyre, an orphan, is sent to a charity school for girls run by cruel director and teachers. When she is of age, she applies for a position as governess and is hired at Thornfield Hall. There, she meets her master, the mysterious Mr. Rochester. Jane encounters strange things at Thornfield, including noises that would indicate someone else is living there, other than the servants, her master and Mr. Rochester's young ward, the little French girl, Adele. Jane is slowly drawn to Mr. Rochester, but he is engaged to the cruel and heartless Blanche Ingram, who plans to send Adele away soon after the wedding.